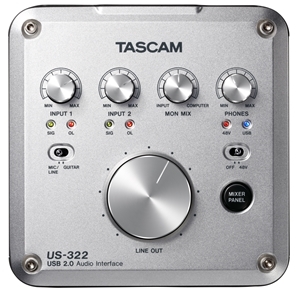 To ensure superior sound, TASCAM organized months of tests and trials to design the HDDA mic pre-amplifier. Manufactured with a discrete structure and select premium parts, the HDDA pre-amp achieves wider frequency response (10Hz to 68kHz), high S/N ratio, low noise and low THD+N. In the process of creating music, many engineers have started utilizing high-resolution formats while recording to ensure the best quality sounds. 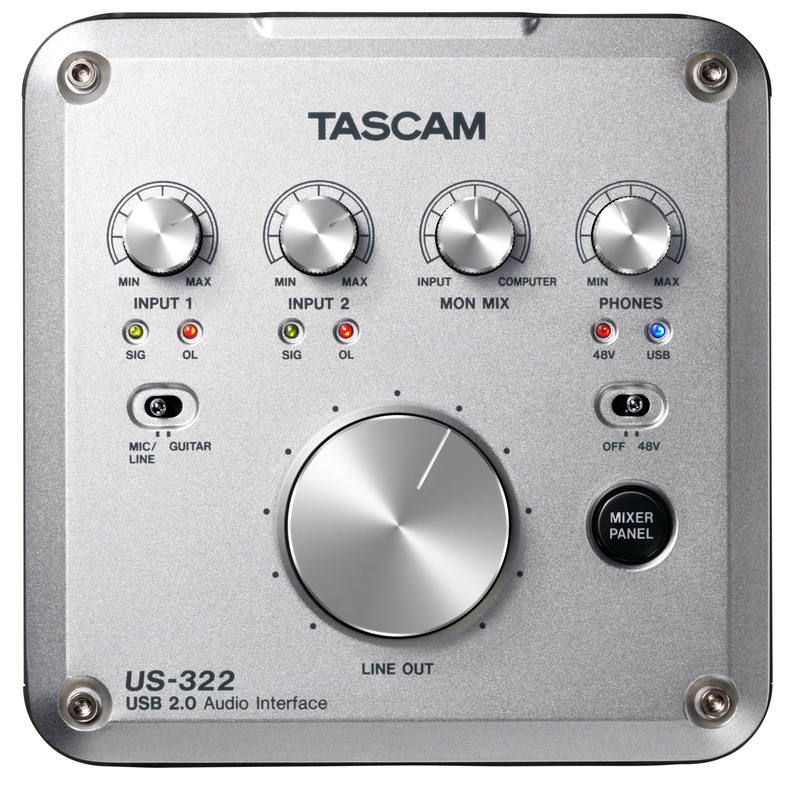 The US-322 is perfectly suited for these high-quality minded recordings. The US-322 is designed with two XLR with +48V phantom power and two TRS inputs. Having both options for condenser mics and line level inputs ensures you are getting the best possible sound and lowest-noise when recording. 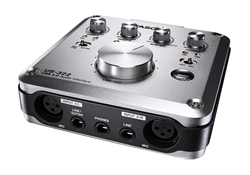 In addition, INPUT-1 can connect any high-impedance equipment directly, like a guitar.